Some dorm supplies are obvious – everyone knows she'll need bedding, storage, a garbage can, and a lamp. Yet, some dorm supplies that are super useful fly under the radar. Here are 4 items that I’ve found that every girl needs for dorm life. 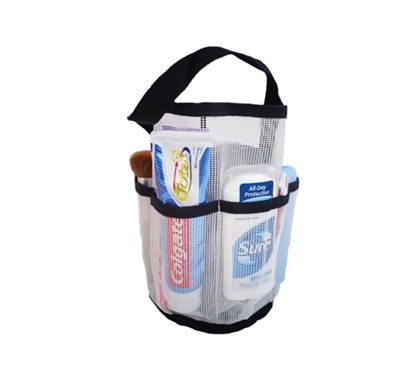 Shower Caddy- Shower caddies are a dime a dozen. It’s the one item that every college student has, and usually they all look the same. Check out this super cool shower caddy though! It has a handle that will fit on your showerhead, because anyone who’s lived in a dorm knows how annoying it is to always bend down and get your stuff while showering. And even better, this caddy was designed to get wet and is fast drying. Talk about college convenience at its finest! 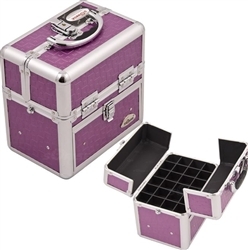 College Girl Cosmetic Case - Nail Case- Nail polish organizers are essential college supplies for any girl who has more than a few nail polish colors. If you have a lot of nail polish, you know it can even be tough to keep track of which colors you have. To keep everything straight, include this nail polish organizer as part of your dorm room supplies. Storing all of those bottles of nail polish can also be a bit of a task, especially in a small dorm room. This case, however, clearly takes care of that issue. Plus, these cases for nail polish organization look great! They can even enhance your dorm room decor, which is something a bag or bin full of nail polish just can't do. Closet Organizer – If you have a lot of clothing and shoes, you’ll definitely need a closet set. 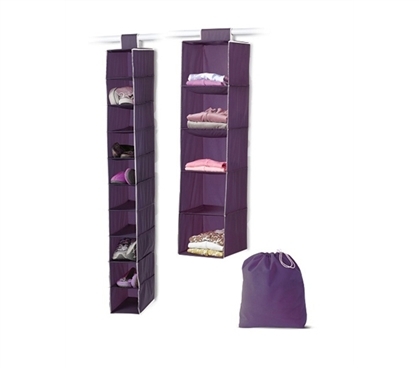 With this set you can organize your shoes, sweaters, extra clothing, and bedding! Not only is a set like this super useful, but you’re also saving money and precious space in your dorm. You’re ready for college – is your wardrobe ready, too? Pill Case- Just about every one of us has some kind of pill to take. Whether it is simply a multivitamin or it’s an actual prescription, no girl wants all of her medical business out in the open. 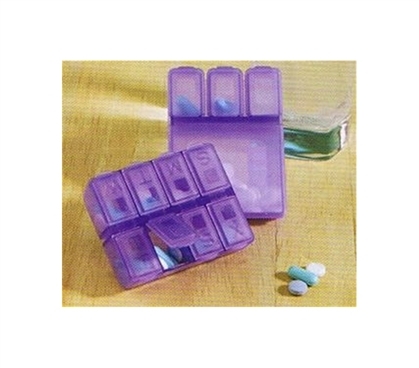 With this pill case, no one will see what kind of medicine(s) you take. This will come especially in handy for those weekend getaways with your friends or spring break trips! It's useful dorm items like this that make college life more convenient. You can find all of these handy dorm supplies for girls right here at DormCo.com. Be sure to make a thorough list of everything you’ll need—even little extras like these—for your dorm before you move in!